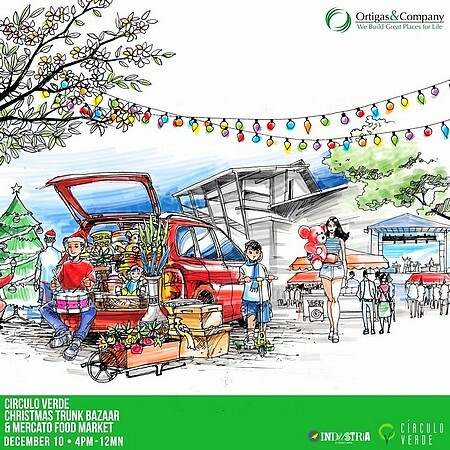 Time to get festive and spread the Yuletide cheer at the Circulo Verde Christmas Trunk Bazaar and Mercato Food Market on December 10 4 p.m., at Industria! Check out an amazing selection of items from 100 merchants and delicious eats from Mercato as you enjoy live performances from Brisom, Jason Dy, Ben&Ben, and Itchyworms! Gather your friends and family for a fun Saturday night out!